In any industry, there are plenty of terms and words that can leave people with a little confusion as to their meaning. 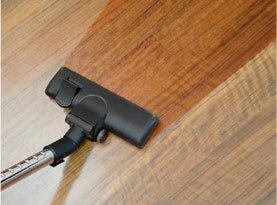 Hardwood flooring services are not the exceptions. With a variety of words and phrases frequently used among hardwood floor professionals, many consumers are left scratching their heads. With that in mind, we at Mike’s Custom Flooring would like to share a glossary of common terms to help you better understand. Acclimation: A required process that allows a newly installed floor to adjust to the moisture content and climate conditions of the room. This process is should be done 48 hours prior to installation; each box is stripped of polythene and stacked. Adhesion: The act of sticking one material to another. Beveled Edge (AKA V-Groove): Each board is accentuated as an individual plank in an effort to provide a traditional floor board feel. Brushed Finish: To look authentically, the planks are brushed with a steel comb to highlight the grain of the wood. Cupping: Due to excess moisture, there are uplifted edges of flooring. Damp Proof Membrane (DPM): Installed under floors, a polythene sheet acts as a moisture barrier. Engineered Boards: Comprised of high density fiber or plywood core with a solid hardwood veneer glued on top, they are designed to provide the natural characteristics and beauty of a solid wood with greater stability to moisture and heat. Expansion Gap: Perimeter area left to account for expansion. 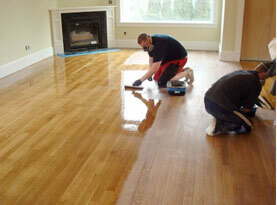 Finish: The application of a protective coating to wood floors. Floating Floor: Not secured to the subfloor, but each plank is connected together with adhesive or mechanical connectors. Gloss: A reflective ability with a shiny finish result. Grain: The natural lines of fibers in the wood that creates the in the floor. 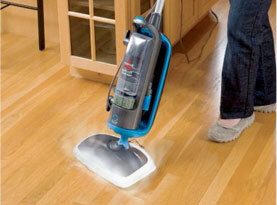 Lacquered Finish: A hard film over the floor formed from a thin, clear resin that delivers a smooth, glossy result. Laminate Boards: High density fiberboard with a photographic image of wood pressed on the surface. A specially designed clear resin is applied and cured to protect the board from wear. Reclaimed Wood: Wood that is used on a current project that came from an old building or structure and has been refinished. Solid Boards: Described as real wood flooring, the planks are cut as one solid piece which is then milled with tongues and grooves on each side. Sub-floor: The original floor of the foundation that has a floor installed on top of it. Tongue and Groove: A plank that is manufactured with a ‘tongue’ while the opposite side is milled with a ‘groove’. Tongue of one board fits snugly into the side with a groove to ensure a tight fit. Underlayment: Materials that are installed between the main floor and sub floor, often providing a barrier for sound, moisture, insulation, or light padding. Vapor Barrier: The moisture rising from the subfloor is offered protection to the main floor. Veneer (AKA Wear Layer): To create an engineered product, the veneer is the layer of solid wood that is glued on top of a plywood core. We hope you find this a helpful guide to the terms used in the hardwood flooring industry. If you are ever unclear of what the professionals of Mike’s Custom Flooring are relating to you, don’t hesitate to ask for an explanation. 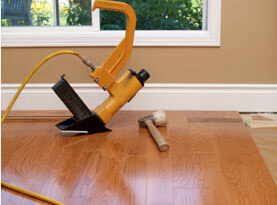 Call Mike’s Custom Flooring for your wood flooring installation and repairs!